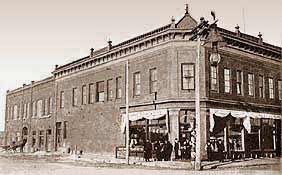 Aitkin Opera House Building was built in 1903 and was the cultural center of the community. Aitkin sprang from the wilderness in 1871, materializing where the Mississippi and the railroad met. The settlement was a wild frontier lumber town and riverboat transportation center that swarmed with lumberjacks each summer as the ‘boys’ came to town to spend their paychecks in the 16 saloons and various ‘bawdy houses’ in the community. Knifings, shootings and street brawls, involving men fresh from the lumber camps, weren’t uncommon in the early days. In sharp contrast, church socials, costume balls, literary clubs and theatre groups were equally commonplace. In 1902, Samuel Hodgeden sought to enhance the cultural offerings of the community by constructing a new building that would contain a beautiful opera house. He traveled to Chicago and New York to visit the best opera houses in those cities to formulate plans for his own design. The original building was a two-story structure with a footprint of 50′ x 75′. One year later, Hodgeden expanded the original structure to double its size, making the total length 150′. Unlike the first section built a year earlier, this added section was constructed with bricks made in Aitkin from Mississippi mud and fired locally. 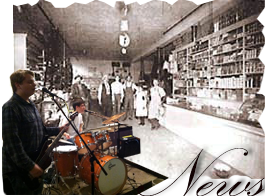 Many historians credit the birth of the shopping mall to the 1960s. The community of Aitkin challenges this theory. 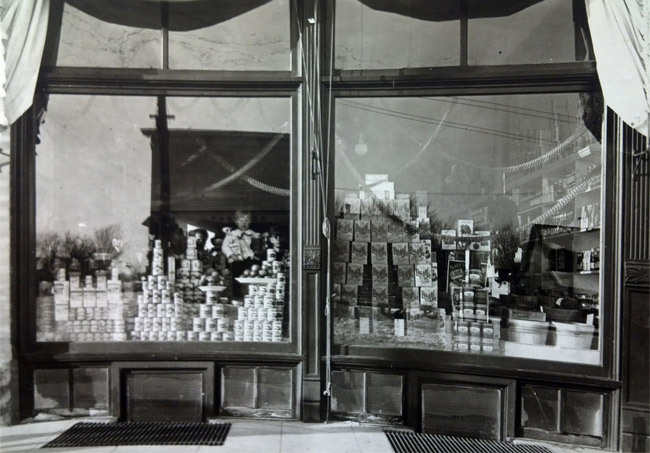 In the early 1900s, Aitkin’s opera house building housed a general merchandise store, bank, barber shop, hardware store, seed & feed warehouse, buggy & wagon shop, bath house, and the opera house–all under one roof! An person could arrive in town by train or steamboat and could quite literally walk in the front door of the Hodgeden-MacDonald building and buy feed and hardware needed to start up their homestead, get needed food and clothing, a wagon and team to haul everything, a shave, a bath, take in a vaudeville performance at the opera house and get a bank loan to pay for everything—all without ever having to leave the building! Truly cosmopolitan.